This phantasmagorical animal could pass for another enchanting corral so much it is a master in the art of blending into its habitat. This seadragon inhabits the Australian coastline where it abounds among the corral reef and marine plants, going unnoticed in this forest of shimmering colors. It is a close parent with the seahorses without being one. Rather, seadragons are part of the syngnathidae family. 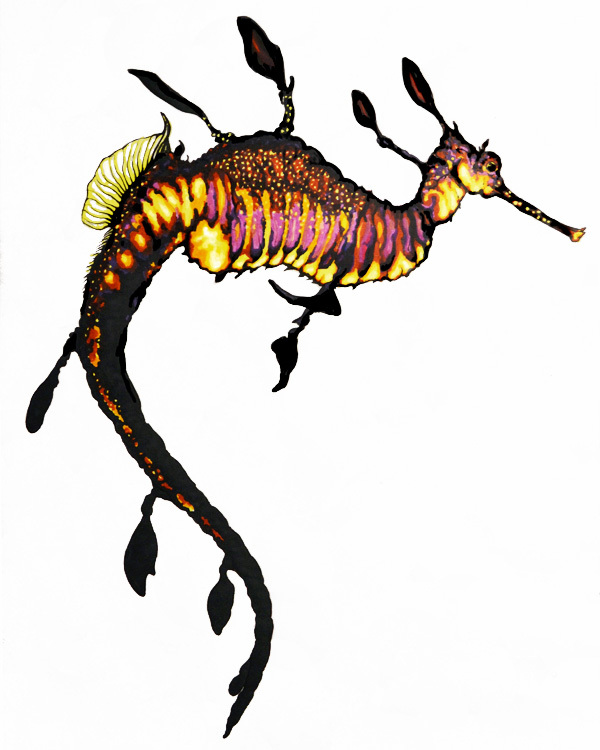 Animal drawing art description: Fine art drawing scientific illustration of a weedy seadragon. Color markers and ink drawing by Madeleine Dubé. 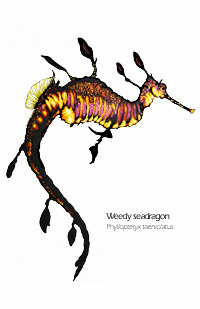 Weedy seadragon drawing artwork available for sale as greeting cards, postcards and high quality giclée print reproductions (8"x10" and 11"x14"). 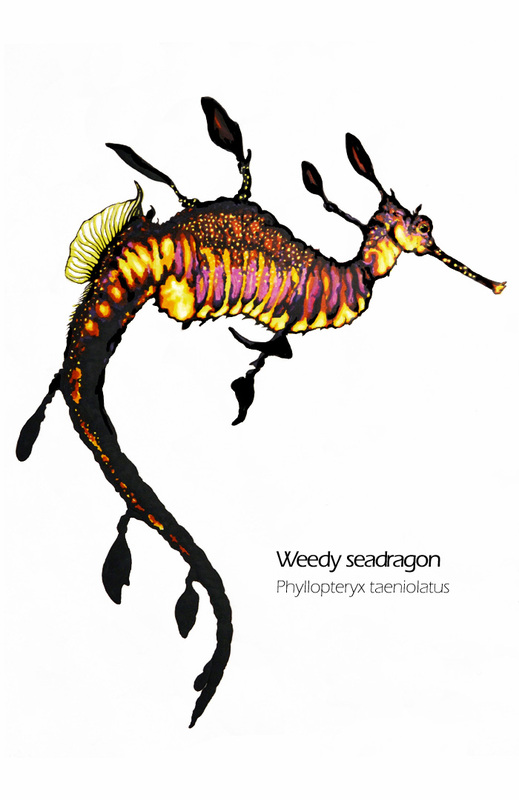 Weedy seadragon animal image available for licensing. Ideal for commercial uses such as print, packaging or advertising. For information contact me by email or by phone: 1-514-770-0705.